﻿ The Cure for Cabin Fever? Have Your Carpets Cleaned. The Cure for Cabin Fever? Have Your Carpets Cleaned. With winter in full swing, it's not surprising that you're getting a little tired of spending so much time indoors. It's been a wild ride so far, and spring is not that far off. The groundhog officially did not see his shadow, so there's hope for brighter, better weather right around the corner. In the meantime, it's a good idea to consider professional carpet cleaning services to freshen up your home. Those slushy winter boots have probably left some dingy footprints on your carpets, and you want to get rid of them. Carpet Cleaning Service stands at the ready to help bring a breath of fresh air to your winter-weary home. Clean carpets will not only make your home look cleaner, they'll help you breathe easier as well. Getting all the wintertime dirt and grime (especially the salt) out of your carpeting will freshen up the whole house and make you feel better about spending so much time indoors. If your family has been passing that cold around and you just can't seem to get rid of it, professional carpet cleaning service will remove dust mites, germs and bacteria, helping your family to conquer those cold symptoms. In addition to those nasty germs, a good carpet cleaning will deal with those ground-in stains left over from those holiday gatherings. Take a good look around the dining room and the living room to see if there are any wine stains or other food and drink related mishaps you haven't noticed. If they've been left unattended for over a month, chances are you'll need something more than store-bought spot cleaner to help get rid of it. 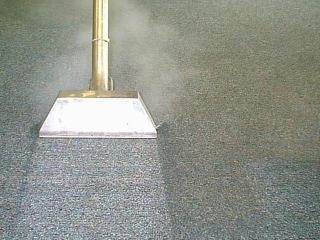 Professional carpet cleaning service will do the trick. The same goes for your furniture; give the sofas and chairs the once-over to see if there are any stains that need dealing with. Our upholstery cleaning services can extract those stains, making your furniture look like new. Give yourself a break from vacuuming, and get your carpets deep-down clean now. Call to book an appointment, and enjoy a clean, fresh home for the rest of the winter.